Dana White to speak at Republican National Convention – Will it help or hurt Donald Trump? 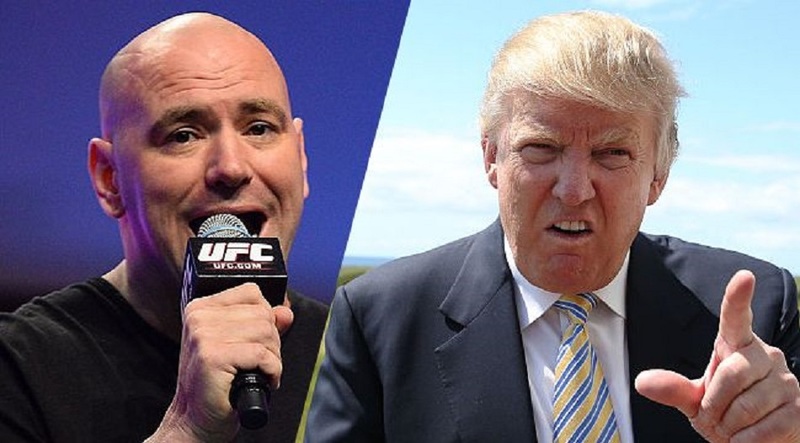 UFC President Dana White has been supportive of the Republican Party’s Presidential Candidate in Donald Trump and now he will officially endorse him at the Republican National Convention. Trump, an Atlantic City, New Jersey businessman has been supportive of the sport of mixed martial arts for a number of years and was instrumental in helping the UFC break through during the organization’s early days. “Yeah, Donald Trump, when we bought this business, it was banned in most states. It wasn’t supported by the athletic commissions and no arenas wanted this thing. Donald Trump was the first one to have us come out at the Trump Taj Mahal,” White said. “Not only did we host the events there, but he actually showed up and supported the events. You’ll never hear me say a negative thing about Donald Trump. Just a few weeks ago on the UFC’s new podcast with Matt Serra and Jim Norton, White said that he had not officially been asked to speak at the upcoming Republican National Convention but would likely do it had he been asked. Will White’s endorsement hurt Trump? 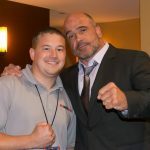 In a recent article by the Review Journal, White’s support has been criticized because of some of the outlandish comments that the head of the UFC has said via social media and or on camera. The article also states that fighters are afraid to speak up for fear of being fired. Let’s face it….. Dana White is no saint, but has Donald Trump really been a stellar tweeter or political speaker himself? Hell no, so the point above is completely absurd. The fact that the President of the Ultimate Fighting Championship is speaking on behalf of Donald Trump is not going to change the course of the election one way or the other and to think so is completely out of this world. There are millions of people who have never heard of the UFC or know who White is. It is highly unlikely that White’s remarks will land in a make or break situation. Let’s all just relax and let Dana do his thing. Besides….. that is why you are given the right to vote. You can make your own decisions, but if you do not vote, do not go pointing fingers either. The convention will take place from July 18 to July 21 at Quicken Loans Arena in Cleveland and White will now officially be a part of it.